The King Tiger, the pinnacle of German armament, a tank so deadly that barely anything within the Allies arsenal could stop it. 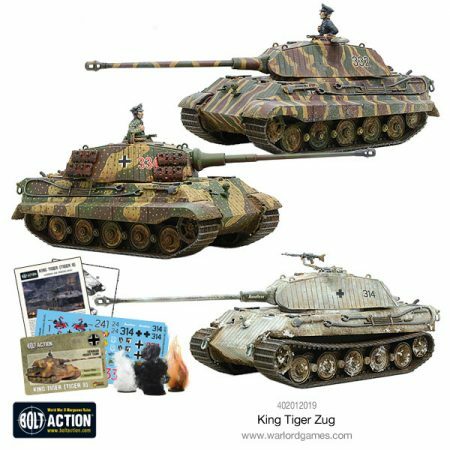 Your King Tiger Zug is now available ready to pre-order. Equip your Tigers with either the Henschel turret or the rarer Porsche turret! Have each tank with their own commander or have a closed hatch to protect the crew. You also have the choice to give your Tigers’ schürzen! A detailed colour booklet providing instructions and painting guide. 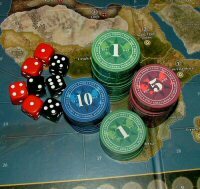 A set of blast and damage markers. A Bolt Action stat card for easier gaming accessibility!